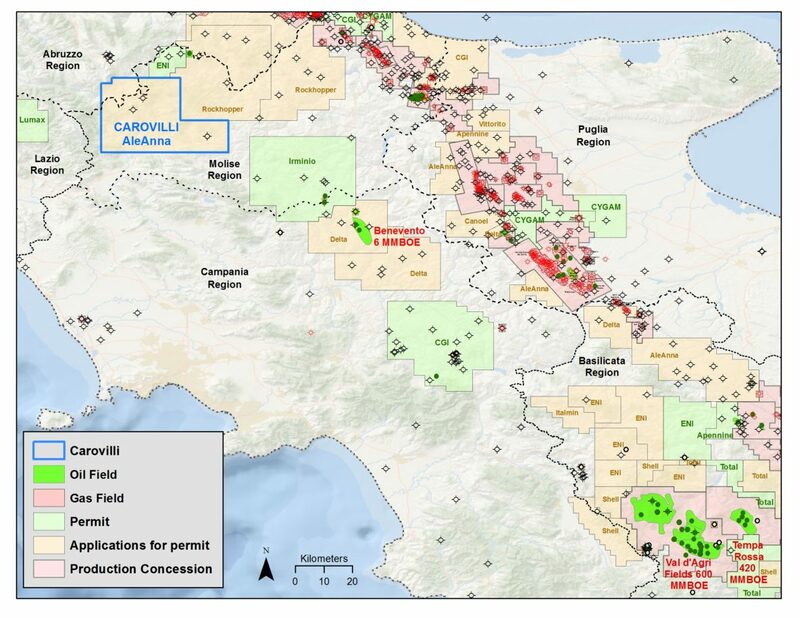 Application is in the southern Apennine Thrust Belt, on trend with Val d’Agri and Benevento oil fields. Target is oil in the fractured Apulian carbonate platform. A small portion of the application is in the Abruzzo Region, which AleAnna has proposed to release for political reasons. Four dry holes have been drilled within the block. Several leads have been identified by previous operators, and 3D seismic is needed to develop prospects.